The right mobility plan will help your company save money, time, and energy. Sick of expensive mobile bills? Turn to Allnet. We always find the right opportunities to help our clients save money each month. Whether it’s a personal phone or a suite of wireless devices, we’ll make sure that all costly data plans are replaced with optimal plans. We’ll omit the devices that you don’t need in your network as well. At Allnet, we’ll put in the work so that you don’t have to. By monitoring your data plans, we’ll be able to identify the devices that are using up the most data. From there, we’ll set you up with a sensible plan that helps you provide your employees the data they need at the lowest possible price. This will help steer you away from overspending caused by exceeding data capacity. Affordability is one of our core principles, so you can always count on Allnet to deliver a cost-effective mobile management plan. We will supply you with the right solution to help you achieve success, along with significant hard and soft cost savings. Nowadays, companies rely on the use of mobile technology like tablets, smart phones, and hotspots for everyday business. This significantly increases the importance of a structured mobile budget. It’s a blueprint that can help set your company up for a long line of success. Looking at bills and monitoring tech changes requires time and energy. Let us take these efforts off of your shoulders. We’ll routinely monitor your budget and mobile spending for you. We’ll issue you an accurate report with an itemized overview on your wireless expenses to help keep your budget spending in line. The right mobile manager can be the difference maker that your office needs. With 35 years of telecom management experience, Allnet serves as a leading mobility management company nationwide. We’re driven by efficiency, results, and cost-savings. Organizations trust us to deliver an optimum mobile solution with more data, at a lower cost. Today, our optimized managed plans help companies with 15 to over 2,000 mobile devices reduce their mobile expenses. We are so confident that we will provide your company with more available data at a lower price that we do not “lock you in” as the wireless carriers do. With Allnet, there is no contract. You can leave us at any time. 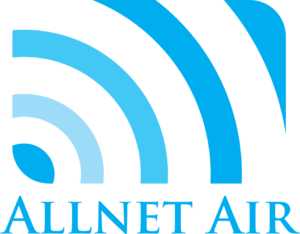 If you’re interested in a superior mobile management plan, then contact the experts at Allnet Air. We’ll deliver a solution that results in long-term savings. Contact one of our certified specialists today to learn more about our customized mobility programs. Give us a call at (847) 457-9543 to set up a free consultation.